Four Ways to Re-Energize a Blah Resume | Intern Queen Inc.
Not everyone is over joyous about resumes on white paper anymore. It wasn’t until winter break that I realized I might be one of many college students who still submit paper copies of resumes. Why is that? In the age of tweeting, chatting, and texting while crossing the street there are many new ways to present your resume to employers. Consider submitting a resume through an online website that offers great templates and url links at your disposal. Not only is it easily accessible to just about anyone, but you are given the opportunity to create your own page and upload stories and videos. Essentially it serves as an online portfolio. Some free sites include about.me, and visualize.me. Feel free to include the page link on any of your social media pages, and your business card. It shouldn’t come as no surprise that students are starting to add color to their resume. 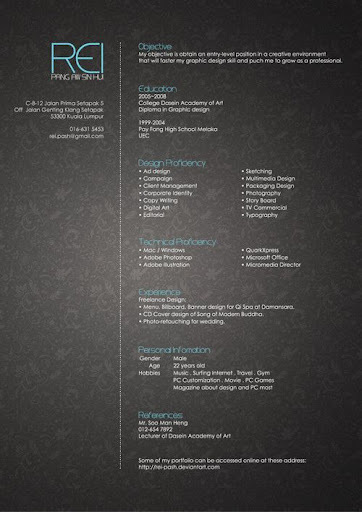 For so long we’ve seen resumes printed on white or off-white paper (very 2005!) This is a great way to help your resume stand out from a stack of white paper. As long as you adhere to the old-fashion layout of spacing between sections, using the same font and leaving a comfortable margin on the sides, top and bottom of the page—I don’t see why you shouldn’t try it. 3. Got a Poster Board? According to USA Today College, doing something out of the ordinary like printing your resume on a poster or a banner definitely shows creativity and that edge factor that a lot of companies like to see in prospective employers. You might be wondering, which mailbox is big enough to hold a poster board?! Well, you already being on-campus (at a career fair) is a great place to try this presentation. This is definitely one way to literally knock your competition’s resume out of the stack! Uploading a video is probably ideal for a landing a position with a Communications and Media company. Think about it. Up until this year, the Intern Queen blog accepted vlogs and written posts from campus ambassadors around the country (don’t know why this isn’t the case anymore.) The benefit here is that employers can see how you present yourself, and foretaste your personality. Like your 30-second elevator pitch, this is another edge that employers want to see. Ask yourself: What do they want to know about me and what I can offer?